Take to the Skies with Friends! 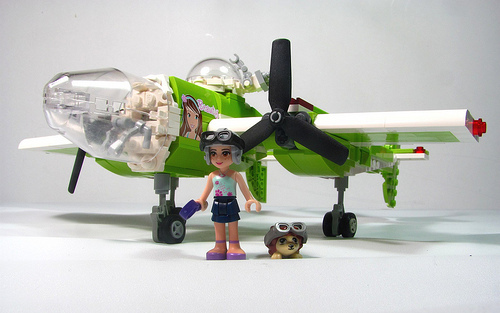 Nathaniel Brill (aka Shuppiluliumas) puts the new Friends line to great use with his delightfully retro scouting plane for Mia, complete with nose art and an adorable sidekick aviator hedgehog. The plane itself is quite a nice build, and the concept is great fun.